Jumilla (in Murcia) wines have a very rich history. As with most regions in Spain, wine making can be traced back to the Greeks, great lovers of the wine, and continued with the Romans until the Muslim invasion. Murcia was a very strong Muslim city (in those times it was called Mursiya) and so, following the Quran laws, alcohol was banned from consumption. Most of the vines were torn up, and the ones that remained were only used for fruit and arrope (a thick, sweet grape syrup). Arrope is still being produced today as a typical Murcian product, and you should definitely try it if you want to enjoy a true Spanish immersion. After the Reconquest and the expulsion of the Moors, wine production picked up. However, trade was very weak and the Jumilla vineyards hadn't been completely restored to their old splendor, so the course of action was to use the scarce wine for own consumption. During the 16th century wine making was pretty uncommon in this region, but still practiced, as presses and other instruments have been discovered in Jumilla dating back to that time. 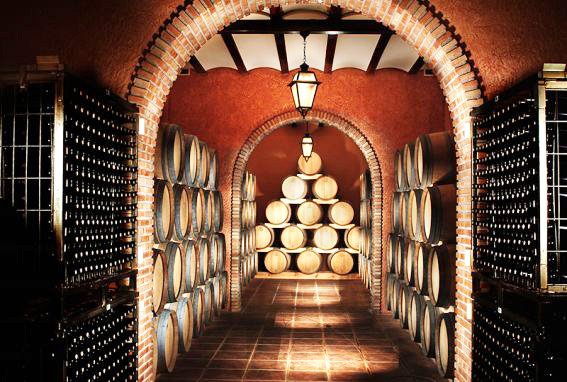 It was during the 17th century that Jumilla finally started to produce enough wine to sell. Archives from the Murcia Cathedral specify the payment of "a tithe of wine" from Jumilla in 1667, and this became regular from there on. The phylloxera plague of the 19th century devastated all the vineyards, but when the worst came the insect hadn't yet reached Jumilla, so the region enjoyed a couple of years of expansion. Their wines were being massively exported to France, who had been very affected by the plague and was running very low on wine. Some French wine makers even spent summers in Spain and brought back some of the Spanish vines with them to France. When the insect finally reached the vineyards in Jumilla in 1989 (long after the rest of Spain had recovered from the plague and replanted the vines) and destroyed all the crops, the growers decided to replant not with the original grapes, but with a native variety called Monastrell which was very well adapted to the climate and soil of the region. 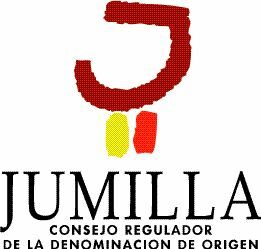 With the replanting came modernization, and Jumilla, which had been a bulk-wine producer for many years, became one of the best wine making regions in Spain and around the world, specially famous for its reds. The DO Jumilla was established in 1966 and can be placed in the Region of Murcia and in Castile-La Mancha, because the area the vineyards cover crosses the border between these two autonomous communities. Planted in plains between 1300 and 3000 feet of altitude, these vineyards are affected by a continental-mediterranean climate, softer that in other areas because of the influence of the Mediterranean. This means warmer summers and shorter winters, which benefit the grape in its ripening The climate is also ideal for holidays, so if you're exploring Spain you should definitely spend some time here. The DO Jumilla uses mainly the Monastrell variety for its wines. This grape makes up for around 80% of the whole plantation, while the rest is for the Garnacha, Garnacha tintorera, Cencibel and the white grapes Macabeo, Airén and Pedro Ximénez, although recently there have been other varieties allowed like the Syrah and the Cabernet Sauvignon. If you really want to know what Spanish summer tastes like, you should try some wine produced with a native Spanish grape. You'll be amazed by its flavor!